This is the third part of Iqbal's paper 'Political Thought in Islam' (1908). Parts 1 and 2 were presented earlier. 1. That the Muslim Commonwealth is based on the absolute equality of all Muslims in the eye of the law. There is no privileged class, no priesthood, no caste system. In his latter days the Prophet once ascended the pulpit and said to the people: "Muslims! If I have struck any one of you, here is my back that he may strike me. If anyone has been wronged by me let him return injury for injury. If I have taken anybody's goods, all that I have is at his disposal". A man arose and claimed a debt of three dirhams (about three shillings). "I would rather", said the Prophet, "have this shame in this world than in the next." And he paid him on the spot. The law of Islam does not recognise the apparently natural differences of race, nor the historical differences of nationality. The political ideal of Islam consists in the creation of a people born of a free fusion of all races and nationalities. Nationality, with Islam, is not the highest limit of political development; for the general principles of the law of Islam rest on human nature, not on the peculiarities of a particular people. The inner cohesion of such a nation would consist not in ethnic or geographic unity, not in the unity of language or social tradition, but in the unity of the religious and political ideal; or, in the psychological fact of "like-mindedness," as St. Paul would say. The membership of this nation, consequently, would not be determined by birth, marriage, domicile or naturalisation. It would be determined by a public declaration of "like-mindedness" and would terminate when the individual has ceased to be like-minded with others. The ideal territory for such a nation would be the whole earth. The Arabs, like the Greeks and the Romans, endeavoured to create such a nation or the world-state by conquest, but failed to actualise their ideal. The realisation of this ideal, however, is not impossible; for the ideal nation does already exist in germ. The life of modern political communities finds expression, to a great extent, in common institutions, Law and Government; and the various sociological circles, so to speak, are continually expanding to touch one another. Further, it is not incompatible with the sovereignty of individual States, since its structure will be determined, not by physical force, but by the spiritual force of a common ideal. 2. That according to the law of Islam there is no distinction between the Church and the State. The State with us is not a combination of religious and secular authority, but it is unity in which no such distinction exists. The Caliph is not necessarily the high priest of Islam; he is not the representative of God on earth. He is fallible like other men, and is subject, like every Muslim, to the impersonal authority of the same law. The Prophet himself is not regarded as absolutely infallible by many Muhammadan theologians (e.g. 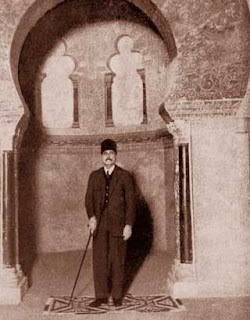 Abu Ishaq, Tabari). In fact, the idea of personal authority is quite contrary to the spirit of Islam. The Prophet of Arabia succeeded in commanding the absolute submission of an entire people; yet no man has depreciated his own authority more than he. "I am," he says, "a man like you; like you my forgiveness also depends on the mercy of God." Once in a moment of spiritual exaltation, he is reported to have said to one of his companions, "Go and tell the people - he who says there is only one God will enter the paradise", studiously omitting the second half of the Muslim creed - "And Muhammad is his prophet". The ethical importance of this attitude is great. The whole system of Islamic ethics is based on the idea of individuality; anything, which tends to repress the healthy development of individuality, is quite inconsistent with the spirit of Islamic law and ethics. A Muslim is free to do anything he likes, provided he does not violate the law. The general principles of this law are believed to have been revealed, the details, in order to cover the relatively secular cases, are left to the interpretation of professional lawyers. It is, therefore, true to say that the entire fabric of Islamic law, actually administered, is really judge-made law, so that the lawyer performs the legislative function in the Muslim constitution. If, however, an absolutely new case arises which is not provided for in the law of Islam, the will of the whole Muslim community becomes a further source of law. But I do not know whether a general council of the whole Muslim community was ever held for this purpose. My object in writing this book has been a twofold one. First, I have endeavoured to give a trustworthy account of a chapter of modern history which has been most inadequately dealt with both at home and abroad. Outside a few limited studies, there is hardly an English or even a French writer who has treated the Italian history of the century with much pretence to accuracy or research; and bulky as is the material published in Italy, Italian historians have not been successful in weaving the material into any very well-proportioned or readable whole. My second aim has been to make the re-birth of a noble and friendly nation better understood in a country which knows little really of Italy. The Englishman's knowledge of the Italian Revolution is summed, it has been said, in the belief that it had something to do with Garibaldi and a red shirt A leading London newspaper recently urged the Italians in all seriousness to take some steps in the direction of Cavour's Free Church, forgetting that this was done a quarter of a century ago; and many a lecture on their recent troubles would have been spoilt by a rudimentary knowledge of their history of the last forty years. The tie, that united so closely the English and Italians of the last generation, seems slackening, and it needs more mutual knowledge to cement the sympathy again. 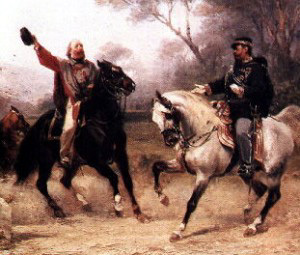 Excerpt from the preface of A History of Italian Unity: being a political history of Italy from 1814 to 1871 by Bolton King, M.A., published in 1899 (Both Volume 1 and Volume 2 are available online). Iqbal mentioned this book in 1928 in an article about the Pushto poet Khus-hal Khan Khattak: "The day is not far off when some Afghan historian will tell us the story of the unity of his race much in the same way as Bolton King has told the story of the unity of Italy." The following is my article published in the special supplement of Dawn, December 25, 2011. It may have appeared with a different title in the newspaper (I still haven't seen the print edition, since I am out of country). The long-standing debate may therefore be seen as a blinker that has been preventing us from asking the more important question: what did Quaid-i-Azam mean by an “Islamic state”? The question cannot be avoided because, after all, he did promise on so many occasions that Pakistan was going to be an Islamic state. There are many interpretations of Islam but they may be divided into two basic categories. In the first category are those interpretations where the masses are considered to be the final arbiters. In other words, since there is no Church in Islam, the functional authority is assigned to the consensus of the Muslim community. At least in South Asia, one of the most interesting features of this “Muslim nationalism” was how it gradually brought on its platform even those sects of Islam which habitually defer to the authority of a present or absent Imam – the Ismailis and Shias. As suggested by the present writer in the article ‘Think Long-Term’, published in Dawn in 2010, this development was marked most prominently by the birth of the All-India Muslim League in Dacca in 1906. The second category of interpretations of Islam may include those interpretations where the authority of an expert is regarded as essentially superior to the consensus of the Muslim community, and those who disagree with the expert are relegated to an inferior status within the Muslim community, or may even get expelled. Depending on whom you ask, this authority may be ascribed to a religious scholar, a mystic, a ruler or now even some Western university! Historically, this was the position of those who were opposed to Muslim nationalism: the Congress leadership of the British India, the secularists in Pakistan, and all those religious movements which did not join the Muslims’ struggle for Pakistan during the 1940s. Quaid-i-Azam Muhammad Ali Jinnah obviously belonged to the first category: he believed that Islam was to be interpreted by the whole community and not by any other authority. The campaign slogan of his followers in the elections of 1945-46 in the British India, “Muslim hai to Muslim League mien aa” (“Join Muslim League if you are Muslim”) was as much a cry of defiance against the mullah as it was a rejoinder to the Indian nationalist. The undeniable implication (which has unfortunately been denied since then) was that the masses did not have to prove their faith to any cleric. Instead, the cleric had to earn his status by first submitting to the consensus of the community. The religious scholars who opposed this proposition apparently believed that Islam could be served better if Muslims were persuaded to become more rigid in following the personal law of Islam in a secular Indian state. Out of selfish motives or misguided sincerity, these ulema and reformers perceived an opportunity of becoming “caliphs” once the Muslim state got established, and especially when its founder passed away in September 1948. This may explain why the right-wing political parties in Pakistan promise to turn Pakistan into “an Islamic state” but fail to propose any practical measures except rigorous implementation of personal laws developed by theologians of a bygone era. One can clearly see that this is essentially the same agenda that was originally devised for being followed in the secular United India. In Pakistan, perhaps the earliest attempt to give recognition to this alternate concept of “Islamic state” inside the parliament was inadvertently made by the opposition leader Sris Chandra Chattopadhya in March 1949. In order to reject the Objectives Resolution, he denied that the elected assembly in Pakistan could have the right to interpret Islam (although a precedent for this had been established in the Muslim world and approved by Allama Iqbal more than twenty years ago). Instead, Chattopadhya quoted a passage from a book by Maulana Maududi and insisted that it should be accepted as the definitive description of “Islamic state”. The idea was vehemently opposed by Sirdar Abdur Rab Nishtar but the argument of Chattopadhya was picked up a few years later by the now-infamous Justice Munir in the famous Munir Report (with the additional attribution of a fabricated quote to Jinnah). Since then, the right-wing parties in Pakistan have been engaged in a quarrel with the secularists over whether or not Pakistan should be an “Islamic state”, but mutual differences notwithstanding, both factions agree that only the mullah has got the right to tell what an “Islamic state” is. Therefore, the question we need to ask now is: How did Jinnah perceive an Islamic state when he repeatedly asserted, before the birth of Pakistan and afterwards, that Pakistan was going to be an Islamic state? This is an Islamic state, then, according to Quaid-i-Azam. Let’s stop calling it secularism, because Quaid-i-Azam never uttered that word and “Islamic state” could not have possibly meant anything else to him. Let’s now start asking whether we should have an Islamic state as perceived by the Quaid, and who should have the authority to decide that? This is the second part of Iqbal's paper 'Political Thought in Islam' (1908). The first part was presented at this blog last Friday. "Oh people! Now I am ruler over you, albeit not the best amongst you. If I do well, support me; if ill, then set me right. Follow the true wherein is faithfulness, eschew the false wherein is treachery. The weaker amongst you shall be as the stronger; with me, until, that I shall have redressed his wrong and the stronger shall be as the weaker until, if the Lord will, I shall have taken from him that which he hath wrested. Leave not off to fight in the ways of the Lord; whosoever leaveth off, him verily shall the Lord abase. Obey me as I obey the Lord and his Prophet, wherein I disobey, obey me not." Omar, however, afterwards held that the hurried election of Abu Bakr, though very happy in its consequences and justified by the need of the time, should not form a precedent in Islam; for, as he is reported to have said (Dozy I, p.121), an election which is only a partial expression of the people's will is null and void. It was, therefore, early understood that political sovereignty de facto resides in the people; and that the electorate by their free act of unanimous choice embody it in a determinate personality in which the collective will is, so to speak, individualised, without investing this concrete seat of power with any privilege in the eye of the law except legal control over the individual wills of which it is an expression. The idea of universal agreement is, in fact, the fundamental principle of Muslim constitutional theory. "What the Muslim community considers good", says the Prophet, "God also considers good". It is probably on the authority of this saying of the Prophet that Al-Ash'ari developed his political dogma - "That error is impossible in the united deliberations of the whole community". After the death of Abu Bakr, Omar, who acted as Chief Judge during his predecessor's Caliphate, was universally elected by the people. In 644 A.D. he was mortally wounded by a Persian slave, and committed his trust, before he died to seven electors - one of them being his own son - to nominate his successor, with the condition that their choice must be unanimous, and that none of them must stand as a candidate for the Caliphate. It will be seen, from Omar's exclusion of his own son from the candidature how remote was the idea of hereditary monarchy from the Arabian political consciousness. The choice of this council, however, fell upon one of the councillors, Uthman, who was consequently nominated, and the nomination afterwards confirmed by the people. The caliphate of Uthman is really the source of the three great religio-political parties with their respective political theories, which each party, finding itself in power, attempted to realise in one or other of the provinces of the Arab Empire. 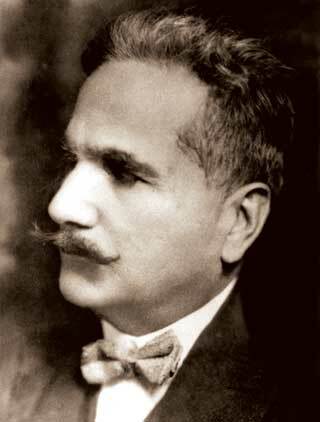 'Political Thought in Islam' was the first paper of Iqbal to be published after the completion of his doctoral thesis. 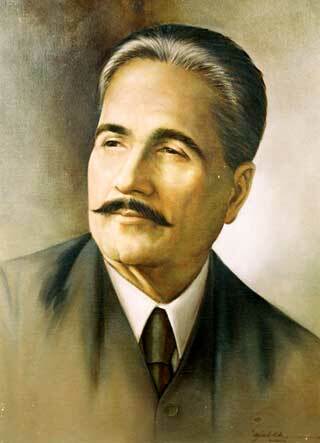 As such it can be treated as the manifesto which provided the basis for all subsequent work of Iqbal was built. It was first published in 1908 in the Sociological Review, London, and reproduced by the Hindustan Review, Allahabad, in its issues for December, 1910 and January, 1911. It was later translated into Urdu as "Khilafat-i-Islamia" and published in the early 1920s. It has been included in various anthologies of Iqbal's prose works, especially The Writings, Speeches and Statements of Iqbal edited by Latif Ahmad Sherwani and The Discourses of Iqbal edited by Shahid Husain Razzaqi. It shall be serialized at this blog in eight instalments. Here is the first. Pre-Islamic Arabia was divided into various tribes continually at war with one another. Each tribe had its own chief, its own god and its own poet, whose tribal patriotism manifested itself chiefly in the glorification of the virtues of his own tribe. 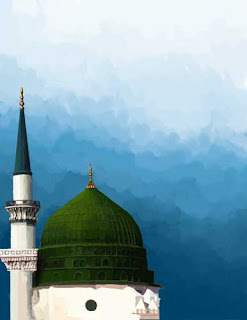 Though these primitive social groups recognised, to a certain extent, their kinship with one another, yet it was mainly the authority of Muhammad and the cosmopolitan character of his teaching, which shattered the aristocratic ideals of individual tribes, and welded the dwellers of tents into one common ever-expanding nationality. For our purpose, however, it is necessary to notice, at the outset, the features of the Arabian system of tribal succession, and the procedure followed by the members of the tribe on the death of their chief. When the Chief or Shaikh of an Arab tribe died all the elders of the tribe met together, and, sitting in a circle, discussed the matter of succession. Any member of the tribe could hold the chieftainship if he were unanimously elected by the elders and heads of great families. The idea of hereditary monarchy, as von Kremer has pointed out, was quite foreign to the Arab mind, though the principle of seniority, which, since Ahmad I, has received legal recognition in the constitution of modern Turkey, did certainly influence the election. When the tribe was equally divided between two leaders, the rival sections separated from each other until one of the candidates relinquished his claim; otherwise the sword was appealed to. The Chief thus elected could be deposed by the tribe if his conduct necessitated deposition. 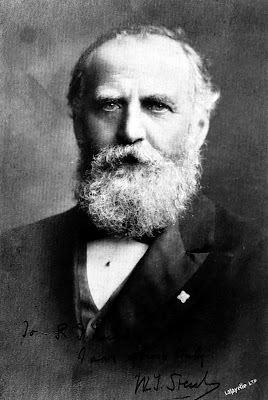 With the expansion of the Arab conquest, and the consequent enlargement of mental outlook, this primitive custom gradually developed into a Political Theory carefully constructed, as we shall see, by the constitutional lawyers of Islam through reflective criticism on the revelations of political experience. True to this custom, the Prophet of Arabia left no instructions with regard to the matter of his succession. There is a tradition that the old Amir, son of Tufail, came to the Prophet and said, "If I embrace Islam what would my rank be? Willst thou give me the command after thee?" "It does not belong to me", said the Prophet, "to dispose of the command after me." The following is my re-telling of a parable from the second volume of the Masnavi of Maulana Rumi. Think of Jesus whom God gave the gift of reviving the dead, and know it that your soul can also bring back those who have departed from the world. Once upon a time, you will come across a carcass rotting in the wilderness, and you may ask your soul to revive it. Well, this is how destiny works: you choose it. Therefore, please do not be too pleased with this story just yet: my wisdom might be the very corpse which you are trying to resurrect at the cost of your own! Yes, your soul will revive that carcass, which will turn out to be that of a ferocious lion. It will kill you on the spot but it will not eat you. My dear child, the lion who will kill even when he isn’t going to eat the prey will be a mere reflection of yourself if you go around acquiring knowledge which you do not need. The Sufi’s book is not composed of ink and letters: it is not but a heart white as snow. The scholar’s possession is pen-marks. What is the Sufi’s possession? Foot-marks! lay the very centre of Buddhistic culture!" The author was quoted by Iqbal in 1925. See bottom of this post for details. I have really strayed beyond India. Leafless trees, the cold, clear air of winter - broad, dusty high roads on which men wander about, whose physical type is familiar to me. Curious: between Afghanistan and Russia there lies a whole world. Every district of Central Asia is inhabited by different tribes, possessing differing histories and cultures, with different customs and manners; and yet to-day one psychic atmosphere is spread from the Khyber Pass to the Ural Mountains. In this atmosphere all significance disappears. In Peshawar murders take place daily,and gaily coloured Indian shawls are for sale what does it matter? Everything might just as well not happen at all, or happen differently. The meaning of life here is not changed by one event more or less, by one event of this or of another kind. The camels march one behind the other in long, endless rows. Century follows century in one long, unending sequence. Millions of similar people die rhythmically one after another, sometimes violently, sometimes naturally, all with the stereotyped expression of a shrug of the shoulders. I am seized by that infinite melancholy for which only the Russians possess the right word: Urrynie. I want nothing, lack nothing, I have no demonstrable reason for it, I am just melancholy. My soul is hollowed out, as it were. This Asia knows no vibrations of a mental kind. The rays which I radiate myself disappear in endless space, but I lack the inner power to arrest them. The result is a feeling of emptiness which makes me profoundly miserable. And then, alien, brutal forces enter into me the thoughts and desires which may dwell in the wild hearts of Afghan cattle-thieves. I can hardly resist them, so suddenly do they assail me. And then I recognise in horror that they are not at all as alien to my inner self as I had thought: in me too there is somewhere, deep down, a crude Central Asiatic, and I curse the air which has let him be wakened from his slumber. Yet this world contains possibilities for unique greatness. When the storm is let loose over the desert, whole mountains of sand are piled up which roll on like waves. Such storm forces have several times been embodied in men. They were beings without souls or sense, without inward aim or feeling for values; they hardly possessed any human consciousness. But on the other hand, the elemental force of the desert storm was in them. Like grains of sand they drove nations before them, burying cultures under mountains of sand. But if these did not remain, then everything was once more as if nothing had happened, as if their invasion had been an evil dream. These conquerors represent intrinsically non-spiritual powers. But greatness, yes, superhuman greatness, cannot be denied to Attila and Jenghiz Khan. 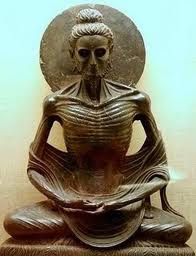 And to think that here, and not even at such an immeasurable distance of time, lay the very centre of Buddhistic culture! That the Valley of Kabul was the holy land of Mahayana doctrine, longed for by every searcher from the land of the five streams to the Japanese sea, the scene of the blending of the Hellenic and Indian spirits in art, culture and religion, to which all the later developments of the Far East can originally be traced! Central Asia was, for thousands of years, the source of all spiritual influences on earth. But as the waters dried up and the gardens withered to the dust of the desert, the spirit vanished irretrievably from this parched atmosphere, and the extremest forms of barbarism became the heir to the extreme of culture. - My thoughts wander back to my geological days and the way in which I then regarded the world; in the Alps, I beheld the ocean, liquid lava in basalt, and life itself in the rigidity of stone. The archaeologist beholds Central Asia with a similar vision. But, it seems to me, both overlook the really significant factor. This is the change in itself. Anyone who has ever been a farmer knows what 'history' means: one year of culture more or less represents cosmically an absolute entity; it cannot be taken away nor retrieved; such time is real before eternity. For such time creates change. Where growth is guided by conscious volition, development takes place; everything progresses, marches onward, further and further, and no end is in sight. If, for any reason, volition fails, all events change their being. Development diverges, branches off, or even ceases, and the casual takes the place of the rational. Thus the desert follows upon the garden, the wilderness upon culture, lack of all spirit upon spirit, eternal death upon brief life. What folly to believe in a Providence which guides life on earth from outside! Life could, of course, progress in accordance with a high purpose, no principle is opposed to such a course; we men will perhaps one day bring about such a state of affairs. But what happens on earth seems a matter of complete indifference to God. Spirit yesterday, none to-day, to-morrow perhaps spirit again; sometimes garden, sometimes desert, sometimes the primeval forest, sometimes the sea: I dare say He delights in aimless change, as the tired Maharajah delights in the Nautch, so that eternity should not become too tedious for Him. None the less, it is stimulating to live for a while among such wild fellows as the Afridis. They are magnificent - like beasts of prey in their primitiveness, their instinctive irresponsibility. The Government does not like to see people going unprotected and without a guide through the bazaars: suddenly one of these gentlemen might dig a dagger between one's ribs, the Government would have to interfere, which, in its wisdom it prefers not to do, because murdering means nothing worse to them than the polite expression of a differing opinion does among us. Could I bear the Afridi a grudge who sought my life? Hardly. At any rate, no more than a tiger. And as I wend my way through the narrow streets, I look out whether I cannot spy the beginnings of a quarrel. These men must look magnificent when fighting. As long as peace reigns, the best in them is asleep, in the same way in which the best sleeps in the Spanish fighting bull while he chews the cud. All at once I must laugh: the Afridis are the very embodiment of that ideal of supermen to which a fair proportion of our young poets cling! Great men who are cruel because they must be so, who fulfil their destiny although it ruins them whose passion knows no limit who are never led astray by reasonable considerations: yes, indeed, the description befits them. It is droll to think to what manifestations the need for hero-worship leads over-civilised townsmen. Undoubtedly originality is necessary: but is it not possible to conceive a higher kind than that of the animals? It is hardly conceivable that the Athenians who surrounded Plato looked up to Achilles and Diogenes as ideals; it needed the modern decadents to lower the ideal of humanity so much to the animal level; even Nietzsche, the gentle pastor's son, never intended anything of this sort, no matter what he may have said. But to-day we have really reached the stage at which originality and primitiveness in the animal sense appear identified. I am quite prepared, and why not, to honour the candour of the cow; only, I stipulate that she shall not write; this form of expression is only suited to cultured human beings. I refuse in the same way to honour savages as heroes. The Afridis are really the supermen worshipped by our modern literary youth. It amuses me to examine them from this point of view. Formerly it used to be said: he who controls himself is strong. To-day: he who must let himself go. Of course, to anyone who has no passion at all, its mere existence implies an ideal. But it is not true that all modern men are emasculated; only those who write are for the most part in this state, the canaille ecrivante, cabalante el comwlsionnaire of Voltaire, the most unreal people of all, and to-day, it is more fatal than ever that they have so much power. The ideal of the emaciated, the impotent, the weakling, drives healthy individuals into barbarism. Literary cows are magnified, savage churls are honoured as heroes: thus more and more cows begin to write, and more and more men capable of culture become savage. How good it would be for the young men of to-day to imbibe a little Indian wisdom ! To learn that it is a sign of weakness and not of strength if a man has to be cruel, if he succumbs to his fate, if he is not master of his passion, if he is impervious to the considerations of reason, and that not only the superman of the newest, but also the tragic hero of the classical pattern, embodies a barbaric condition! No doubt the modern condition of humanity is not worth much; but the ideal which we should strive after lies in the direction of transfusing life with spirit, not with animality. Not only the cow, but God also, is natural, and we should simulate the latter, not the former. All the more so as we are already much nearer to Him. As I regard these Afridis, I realise very clearly how far their nature is removed from ours. Perhaps it is due to this change of perspective, as opposed to the conditions of antiquity, that the animal seems to us above everything worthy of reverence, just as God seemed to the ancients. . . . The excerpt is from the chapter 'Peshawar' in The Travel Diary of a Philosopher by Count Hermann Keyserling (published in 1925 and available in English translation online: Volume One and Volume Two). In his 1925 essay 'Self in the Light of Relativity', Iqbal quoted an excerpt from this book: "The impulse which drives me into the wide world is precisely the same as that which drives so many into monastries - the desire for self-realization... I want to let the climate of the Tropics, the Indian modes of consciousness, the Chinese code of life, and many other factors which I cannot envisage in advance, to work their spell on me, one after the other, and then watch what will become of me." Iqbal regarded this view of self-realization as one-sided: "The intellectual self is only one aspect of the activity of our total self." 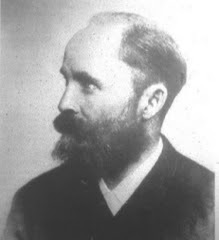 About the author, the official website of the School of Wisdom founded by him tells us: "Count Keyserling is the first Western thinker to conceive of and promote a planetary culture, beyond nationalism and cultural ethnocentrism, based on recognition of the equal value and validity of non-western cultures and philosophies. He founded the School of Wisdom in Darmstadt, Germany in 1920, based on the original Schools of Wisdom which prospered over two thousand years ago in Northern India under Buddhist rule. Unlike other spiritual leaders of the day, he did not set himself up as a guru, or establish any kind of personality cult. Instead, he encouraged the equal participation of many others." (This last proposition has been questioned in the light of the private assertions of Rabindranath Tagore, one of the chief beneficiaries of the Count's generosity; for instance. see the paper by Martin Kämpchen in Asiatic). An International Islamic Colloquium was held at Lahore in December 1957. The inaugural address delivered by President Major-General Iskander Mirza on the 30th is being reproduced here from Iskander Mirza Speaks (1997), a compilation by Ahmad Salim. President Mirza may have been a bad ruler who manipulated power towards personal ends, but ironically, the more enlightened intellectuals haven't usually bothered to give us a better summary of the relevance of Iqbal's message for a common person. I consider this a very momentous occasion when eminent thinkers and scholars from all over the world are assembled here to pool their knowledge and thought in an attempt to rediscover the spirit of Islam in the context of modern life. I extend a most cordial welcome to all those who have traveled long distance to honor us with their presence today. I hope they will find their brief stay in this historic city of Lahore pleasant and fruitful. I have quoted this statement as it contains the essence of a fundamental truth. The fact that Islam is capable of belonging to the modern world makes it possible to recognize that it is a living and dynamic force. Throughout its chequered history of about 1,400 years, Islam has been one of the most cherished, and at the same time, one of the most misunderstood faiths. The source of this conflict is that Islam is not the name of a personal or inner experience alone. It also seeks to govern and direct the everyday life of not only individuals but of the entire human race regardless of the elements of time, place, color or social status. It is in its application to practical life in its totality that Islam is apt to become the subject of conflicts and controversies. It is the task not of theologians alone but also of jurists, humanists, educationists and administrators to brush off the cobwebs of these confusions and controversies and reach the real core of what the spirit of Islam implies. It is an irony of history that, while rejecting the institutions of organized priesthood, Islam has often fallen into the hands of priests. In the term “priest”, I do not include the great saints, mystics, traditionalists, thinkers and other men of piety who form a distinct class by themselves. On the contrary, the organized priesthood in Islam is made up of half-baked and ill-educated Mullahs who for centuries have monopolized the pulpit. On one hand, the Mullah has woven into Islam a crazy network of fantasy and fanaticism. On the other, he has often tried to use it as an elastic cloak for political power and expediencies. The result in both cases is chaotic. Inside the mosques, the Mullah has made Islam into a fairy-tale immersed in strange superstitions and opposed to all forces of progress. And outside the mosque, he has often made it a pliant handmaid of power politics. If I may presume to say so, Islam was not born to be a captive in the four walls of mosques and castles. It is a fallacy to make it subservient to the imperfections of transient values and expediencies. Islam is too dynamic and too eternal to be imprisoned in the requirements of a passing age. As the intellect of man develops into new dimensions with the discoveries of new avenues of knowledge and science, his understanding of life and religion is bound to grow in similar proportions. What is really changeable and flexible is the human intelligence and not the basic propositions of Islam. Just as there is no finality in human thought, there can be no dead-end in the understanding and application of a dynamic faith. In any given period of time, therefore it should be our endeavor to focus on Islam the searchlight of new knowledge and thought so that the scholar in his study, the scientist in his laboratory, the tiller of soil in his corn field and the little school girl in her classroom may all be able to understand and derive guidance from their faith in accordance with the spirit of their times. The disturbed and fast-changing times in which we are destined to live offer a unique setting in which the Islamic principles of universality, fraternity, integrity, mercy, cooperation and goodwill should be brought to light in relation with the affairs of men and nations. The race between the conflicting ideologies of today is bound to end in atomic smoke unless their materialistic frenzy is mellowed by the intercession of spiritual outlook. Islam provides a practical forum for experimenting with the universal peace without weakness and universal freedom without license. I have no doubt that the deliberations of this august assembly will prove a landmark in the study and appreciation of a most powerful and dynamic movement in the history of mankind. While wishing you the best of luck in your high deliberations I beg your indulgence to strike a note of caution at this stage. As you know, religion is not a matter of head alone; it also lies deep in the recesses of heart. Faith is the outward symbol of an intense emotion, and emotion as we all know is blind and sensitive. It is our duty to respect it. So, whatever the depth of analytical logic and rational scrutiny, it is desirable that care should always be taken to ensure that the sanctity of fundamental verities is not violated and the tender emotions of simple faith are not hurt. Tolerance is always good. Sometimes it is even a necessity. But where religious susceptibilities are concerned, tolerance is a great virtue and is enjoined by the Quran. The following statement was issued by Allama Iqbal on 26th February 1933, after visiting Spain during his trip to Europe. It is included in Speeches, Writings and Statements of Iqbal by Latif Ahmad Sherwani (ed), published by Iqbal Academy Pakistan. "The conference in Geneva" mentioned here was apparently the European Muslim Congress, eventually held in 1935 after being postponed twice. After visiting different European countries and seeing the general moral chaos of the modern world, I am convinced that the great opportunity for Islam as a faith has come. Millions upon millions of men and women in Europe are anxious to know what Islam and its cultural ideals are. The sooner the younger generation of Muslims realises this fact, the better. European Muslims have already realised it. They are holding a conference in Geneva in August next, the object of the proposed conference being purely social and cultural. I hope the Muslims of Asia and Africa will generously respond to the promoters of the conference. I visited Cordova, Granada, Seville, Toledo and Madrid and besides seeing the historic mosque at Cordova, and the Alhambra in Granada, I visited the ruins of Madinatuz Zehra, the famous palace built on a mountain by Abdur Rehman for his wife Zehra, where excavations are still going on. It was there that the first demonstration of a flying machine was given in the twelfth century by a Muslim inventor. I had the privilege of meeting, among others, the Education Minister of the Spanish Government, an exceedingly courteous gentleman with a breadth of vision hardly to be expected in a country like Spain, and Professor Asin, the well-known author of Divine Comedy and Islam. Under the directions of the Education Minister the department of Arabic in the University of Granada is being greatly expanded. The head of this department is a disciple of Professor Asin. The Spaniards living in the south of the country are proud of their Moorish origin and of the great monuments of Islamic culture which are to be found there. A new consciousness is steadily growing in the country and will further expand with the development of education. The movement of reform started by Luther has not yet exhausted itself. It is still working quietly in different European countries and the hold of priesthood, especially in Spain, is gradually loosening. It is not always the business of philosophy to split hairs, and to devise subtle problems. The weightiest problems are just those which are hidden by their every-day character, or behind unwarranted presuppositions, of which we are unconscious, only because we are continually making them. Such a problem it is which I would suggest in the following work—the questions whether our Ego is wholly embraced in self-consciousness. The affirmative answer to this question, the most proximate and constant of human problems, is evidently a mere presumption, and not less so because carried on through our whole life. Moreover, this presumption is not only logically unjustified, but is also – as will be shown – erroneous. Analysis of the dream-life leads to a negative answer to the question propounded; it shows that self-consciousness falls short of its object, that the Ego exceeds the self-consciousness. If, however, we are more than that of which our self-consciousness informs us, and indeed not in the sense of a pantheistic dissolution, but with preservation of individuality, then it is evident that the question of the soul has been falsely stated. Instead of succession of the here and the beyond, we have their simultaneity, that is, the simultaneity of two Persons of our Subject. Democracy, then, is the most important aspect of Islam regarded as a political ideal. It must however be confessed that the Muslims, with their ideal of individual freedom, could do nothing for the political improvement of Asia. Their democracy lasted only thirty years and disappeared with their political expansion. Though the principle of election was not quite original in Asia (since the ancient Parthian Government was based on the same principle), yet somehow or other it was not suited to the nations of Asia in the early days of Islam. It was, however, reserved for a Western nation politically to vitalise the countries of Asia. Democracy has been the great mission of England in modern times and English statesmen have boldly carried this principle to countries which have been, for centuries, groaning under the most atrocious forms of despotism. Science (at least as a temporary methodological device) can rest upon a naive faith; religion is the longing for justification. When religion ceases to seek for penetration, for clarity, it is sinking back into its lower forms. The ages of faith are the ages of rationalism. 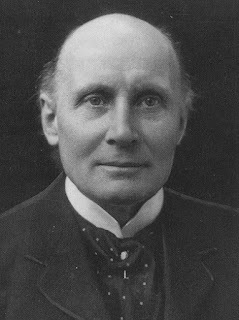 The excerpt is from Religion in the Making (1926) by Alfred North Whitehead. It was quoted by Iqbal in the first lecture of The Reconstruction of Religious Thought in Islam (1930-34). It may, however, be asked what exactly was the objective of these great Muslims [Syed Ahmad Khan in India, Syed Jamal-ud-Din Afghani in Afghanistan and Mufti Alam Jan in Russia]. The answer is that they found the world of Islam ruled by three main forces and they concentrated their whole energy on creating a revolt against these forces. Mullaism: The ulema have always been a source of great strength to Islam. But during the course of centuries, especially since the destruction of Baghdad, they became extremely conservative and would not allow any freedom of Ijtihad i.e. the forming of independent judgment in matters of law. The Wahabi movement which was a source of inspiration to the nineteenth-century Muslim reformers was really a revolt against this rigidity of the Ulema. Thus the first objective of the nineteenth-century Muslim reformers was a fresh orientation of the faith and a freedom to reinterpret the law in the light of advancing experience. Mysticism: The masses of Islam were swayed by the kind of mysticism which blinked actualities, enervated the people and kept them steeped in all kinds of superstition. From its high state as a force of spiritual education mysticism had fallen down to a mere means of exploiting the ignorance and the credulity of the people. It gradually and invisibly unnerved the will of Islam and softened it to the extent of seeking relief from the rigorous discipline of the law of Islam. The nineteenth-century reformers rose in revolt against this mysticism and called Muslims to the broad daylight of the modern world. Not that they were materialists. Their mission was to open the eyes of the Muslims to the spirit of Islam which aimed at the conquest of matter and not flight from it. Muslim Kings: The gaze of Muslim Kings was solely fixed on their own dynastic interests and, so long as these were protected, did not hesitate to sell their countries to the highest bidder. To prepare the masses of Muslims for a revolt against such a state of things in the world of Islam was the special mission of Syed Jamal-ud-Din Afghani. 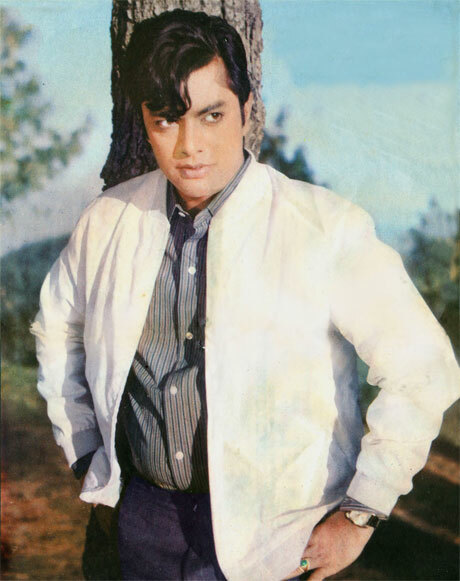 This week marks the 28th death anniversary of Pakistani actor/filmmaker Waheed Murad. For those of you who are unfamiliar with his work, Waheed Murad is one of Pakistan's biggest ever screen legends. The title character in one of his best known films, Armaan, was the inspiration behind Iqbal Academy's recent TV film, 'Iqbal', which I mentioned to you all a few months ago, and which is available on YouTube. So why, you may ask, am I mentioning Waheed Murad here? What has he to do with Jinnah, Iqbal, or the story of Pakistan? Perhaps more than you think. Iqbal Academy researcher Khurram Ali Shafique has been collecting material on the filmmaker for a number of years. He has found some interesting links between Murad and Iqbal (personal and intellectual) and has done some presentations exploring what Murad has to offer as an artist. The attached article written by Mr Shafique is sure to intrigue you, and is a good introduction for anyone who doesn't know about Murad. 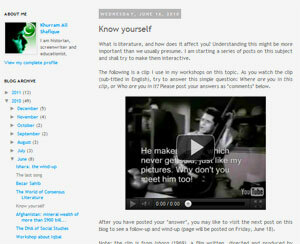 In the meantime, the links take you to a series of short articles, including clips from his movies that have been used in Mr Shafique's presentations. Comments are welcome, and in fact encouraged. “And he sets his mind to unknown arts”. Ovid wrote it in Latin, James Joyce cited it as epigram of his famous novel, A Portrait of the Artist as a Young Man (1914-16), and I am using the English translation for describing Waheed Murad (1938-1983). Given the nature of its content, a good way of beginning the present article would be to remind the reader about Joyce’s novel and the stream of consciousness technique used there, and then to show how Waheed translated the literary technique to cinema, with a different purpose, in Ishara (1969), a movie written, produced and directed by him. Hence I am now on the Wikipedia page about the novel. The link to Spark Notes gives me that handy definition which I needed for sharing with readers, “stream of consciousness, a stylistic form in which written prose seeks to represent the characters’ stream of inner thoughts and perceptions rather than render these characters from an objective, external perspective.” Precisely, but Waheed replaced “written prose” with movie and sought to represent a combined “stream of inner thoughts and perceptions” of two characters: he and the viewer. The film begins with the subjective camera moving into a street and a voiceover welcomes the viewer. Thus it gets established that what you see is what passes through the stream of your “inner thoughts and perceptions” while you watch the movie. This also makes you the main character in the story, which now becomes a story about your exploration of a new world, and the world is the movie you have entered. A second character is introduced almost simultaneously. It is the welcoming voice, “Mera naam Amir hai…” (“My name is Amir…”). The voice tells you that it lives in that street, and soon you are taken to the room where Amir is painting pictures. The voice belongs to him, which is Waheed himself in the role of an aspiring painter who has a good taste but is also passionate about feedback from the uninitiated. Out of the three little children from the neighborhood who watch him making the picture, the first child likes it, the second doesn’t and the third dislikes. Now it may become clear that the street in the opening shot represented the world of cinema, the room is the mind of Waheed Murad and pictures are metaphor for movies (in Urdu, both were called “tasveer”). Three little children are the entire range of feedback you may offer about the “picture” (read “movie”) that is being made in front of you: like it, don’t like it or dislike it but your feedback is essentially immature right now because you are new to this world and are yet to understand its ways, just like those children (be any of them or all of them, they are your alter egos). in the act of engaging with the film. I would have liked to write here what happens in the story but Wikipedia has distracted me with the term bildungsroman. “The bildungsroman (German: "formation novel") is a genre of the novel which focuses on the psychological and moral growth of the protagonist from youth to adulthood,” says Wikipedia. 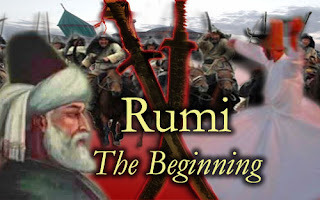 “The birth of the bildungsroman is normally dated to the publication of Goethe’s The Apprenticeship of Wilhelm Meister in 1795-96.” However, a famous earlier example is the Arabic romance Hayy ibn Yaqdhan, named by its 11th century writer Ibn Tufail after a Persian story by Bu Ali Ibn Sina (Avicenna) of a century before. Ibn Sina’s story was about an old sage instructing the young reader about mysteries of the universe – active intellect informing the rational human soul. Ibn Tufail told a story about an abandoned child growing up to maturity through inquiry and reasoning. Ishara is a coming of age story but it is the viewer who grows up: you enter the world of the artist as if newly born into another world, you see yourself as one (or all) of three little children and then you see the artist falling in love with Aliya, a college student. It is not impossible for the viewers to identify themselves with Aliya at this point: in real life, it was the name of the filmmaker’s infant daughter, born around this time. 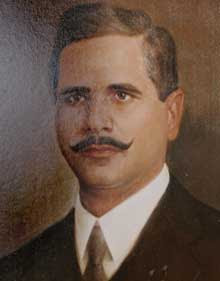 Iqbal used the name of his son, Javid, to represent posterity. Waheed used the name of his daughter as a metaphor for the next generation, as he instructed them about mysteries just like the old sage of Avicenna’s story, transforming them from the children of the first scene to the college student of the main story. The instruction is offered, and the story told, through “stream of inner thoughts and perceptions” that typically passes through the imagination of a viewer while watching a movie of mainstream cinema, especially Indo-Pakistan. Destiny intervenes and the aspiring artist gets noticed by a woman who is young, rich and single. Reshma falls in love but Amir’s heart and soul belong to Aliya. Hence Reshma probably represents the artist’s contemporaries who help him gain recognition but the artist remains committed to generations that shall come later (“I am the Voice of the Poet of Tomorrow,” said Iqbal. “Turning away from my contemporaries, I have a word to share with the new generation”). The posterity shall return the artist’s love but may have its own issues to sort out first: Aliya is under obligation to marry Ishrat, the son of her aunt and guardian. Of course, destiny intervenes again in the end and things get sorted out as they should be – but what is that? In presenting Ishara, Waheed relied exclusively on stock items of mainstream cinema but he managed to make some pertinent statements. Foremost among these was his theory of art. In A Portrait, Joyce’s protagonist had famously viewed family, nation and religion as constraints an artist must avoid for growing wings. Around the very same time, in 1915, Iqbal offered a different view of art in ‘Secrets of the Self’ (Asrar-i-Khudi), where family, nation and religion worked as catalysts for the artist. In Ishara, the artist belongs distinctively to this school of thought. His first song is a hymn in praise of the Almighty, by Whose grace destiny has smiled on all who share the artist’s world. While singing and dancing (with abundant allusions to well-known moves of Waheed from his other movies), he pulls together the entire range of society from burqa-clad women to girls in teddy shalwars, and from the roadside worker to men in evening suites. Bringing them together in pairs from three successive generations of children, youth and seniors, he makes them dance in a circle around him while he revolves, not very unlike a whirling dervish, in the centre. Gradually he moves out but the circle keeps revolving even then (“Nations are born in the hearts of the poets,” says Iqbal. “They prosper and die in the hands of politicians”). Bezar happens to be an epitome of the Joyce-like artist who seeks isolation. Amir’s advice leads him into a fantasy where he sees himself on the stage of a night club, singing a pop song and performing like Fred Astair (and parodying Shammi Kapoor), while all the musicians of the orchestra are his own clones (played by the same actor). He feels irritated when they go on praising him senselessly (“Wah bhai wah wah, wah bhai wah wah…”) but gets upset again when they stop that. In the end we are shown that even the high-brow audience, including women, are Bezar himself in so many roles. How different is the inner world of this artist from what we saw of the Waheed-Amir school of thought! In this comparison, differences between high and popular, classical or pop, or traditional and modern forms of art become secondary. The real criterion is how an artist connects with the people, and whether or not they have a place in the artist’s inner world (the elitist journal where Joyce’s novel was first published was called, quite appropriately, The Egoist). Needless to say, names are symbolic. The name Amir comes from the same root as the Arabic words for culture and civilization, architecture and society. Moreover, it was the surname of Qais (the legendary lover better known as Majnun). Aliya literally means the Exalted, and as the real-life name of the filmmaker’s infant daughter it symbolizes the posterity. Bezar means “Fed Up”, Reshma has connotations of silk while Ishrat means luxury. In choosing Amir instead of Ishrat, destiny has preferred culture and civilization over luxury for Aliya but her guardian, despite being a well-wisher, is in conflict with the youth’s destiny. A cliché in most other mainstream films, destiny becomes a powerful motif in Ishara and is dramatized in full bloom in the final fantasy of the artist. In the beginning we had entered a black and white movie but in the very last reel, when the artist realizes that he cannot be united with Aliya and goes into fantasy, the film turns into color: while the mind of the artist was presented in black and white, his imagination is shown in color – imagination is so much more colorful and possibly also more important. A troupe of mysterious dancers leads Amir into a park. Standing on a lower plane, he finds himself in the presence of Aliya who stands on a higher plane. A chorus of eight dancers accompanies each of them, bringing the total number of people on each sphere to nine, which is identical with the number of stairs between the two planes. “My love, do not be sad,” says Amir as he begins the song. “You stand on one side, I on the other and the insensitive Time between us.” Ascending the nine steps, he moves over to the other plane but the mysterious dancers drag Aliya away and out of the park. The gate closes on Amir, leaving him trapped inside. After this grand vision of destiny, Amir returns from fantasy and back into his real world where things get sorted out miraculously: Ishrat has learnt the truth and now he dramatically unites the lovers, who fly off to Islamabad, never to be parted again. This is how things ought to be resolved where destiny itself is in the leading strings but there might be a catch. 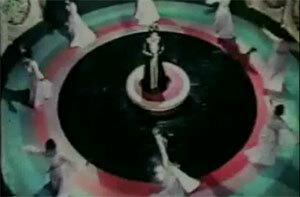 Although the artist has come out of his fantasy, the film never returns to black and white, and ends in color. So, is the happy ending occurring in real or is it part of the fantasy too? Can it be a current which, although unknown to us, is always flowing beneath our “stream of inner thoughts and perceptions”? It may be a good idea to provide some relevant biographical information about Waheed Murad before ending this article. His grandfather was Zahoor Ilahi Murad, a lawyer from Sialkot and also an acquaintance of Iqbal according to the oral tradition in the Murad family. 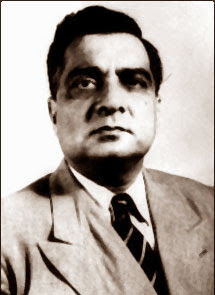 Zahoor’s son, Nisar Murad, was born in Sialkot in 1915, the same year when Joyce finished serializing A Portrait and Iqbal published ‘Secrets of the Self’. Nisar shifted to Karachi and was twenty-three when his only child was born on October 2, 1938. This was Waheed Murad. 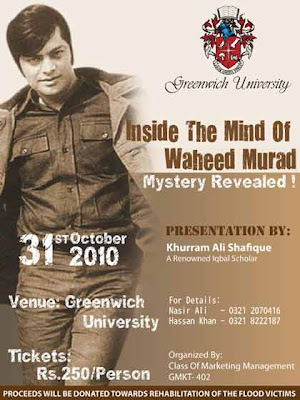 Waheed started his schooling in the prestigious Lawrence College, Ghora Gali (Murree), where he lived in a hostel. His parents missed him too much, called him back after Grade 2 and got him admission in Mary Colasso School, one of the best in Karachi. He was only nine when Pakistan came into being, Karachi became the capital and Waheed saw his father celebrating the newfound independence by changing the name of his film distribution company to Pakistan Films. New friends arrived at school. 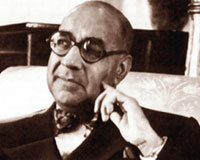 One of them was Javid Ali Khan, a nephew once-removed of Prime Minister Liaquat Ali Khan. Another was Pervez Malik, the son of an army officer. At the end of the schooling, Waheed and Pervez wanted to acquire a Masters in filmmaking from California but Waheed’s parents didn’t want to part with their only child for such a long period. They gave him the money but asked him to acquire the learning by producing his own films in Karachi rather than going abroad. Film Arts was the name the young man chose for his new production house, and the name could have told something about the idea behind it. This hands-on experience had to be backed up with a Masters in English Literature from Karachi University, where Waheed also won a prize in some elocution competition that would have remained insignificant if the prize was not Ulysses, the sequel to A Portrait by James Joyce. The “stylistic form in which written prose seeks to represent the characters’ stream of inner thoughts and perceptions” fired his imagination and he tried to familiarize himself with as many masters of the stream of consciousness as he could – especially Henry James, Virginia Woolf and William Faulkner. Soon, he started dreaming about making a mainstream Pakistani film utilizing the stream of consciousness technique. The idea must have sounded bizarre, absurd and practically impossible at first. Ishara was released on February 14, 1969. It was written, produced and directed by Waheed Murad. Dialogue and lyrics were by Masroor Anwar (who later wrote the famous national song ‘Sohni Dharti’) and music by Sohail Rana. Playback singers were Mala, Mehdi Hassan, Naseem Begum, Ahmed Rushdi, Waheed Murad and Deeba (the last two were not credited). Actors included Waheed Murad (as Amir), Deeba (as Aliya), Rozina (as Reshma), Lehri (as Bezar) and Talat Hussain (in his debut role as Ishrat). The movie ran for a little over 25 cumulative weeks (Silver Jubilee), which was considered to be not very well-received in those days. Khurram Ali Shafique is the author of Iqbal: an Illustrated Biography (2006), which won the Presidential Iqbal Award. His official website is The Republic of Rumi and email is KhurramsOffice@yahoo.com.